The Dog Days of Summer in the United States can be defined as a time period or event that is very hot and/or stagnant. Why not pack your carry-on, jump in a plane and head to St. Barth to attend an event in Barth that is not to be missed? 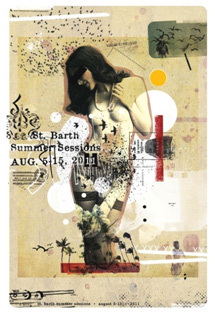 It’s the St. Barth Summer Sessions that is promoted by St. Barth Rocks. St Barth Rocks is a non-profit organization whose goal is to bring artists and musicians to perform in Saint Barthélemy all year long. This year it is promoting St. Barth Summer Sessions which is an annual event that brings in very talented artists to perform each evening between August 05 and 15. Both were created by hotelier Thierry de Badereau of Hotel Tom Beach and his famous restaurant La Plage. It has grown into an extremely popular event that will take place at a variety of different venues all over the island and include a concert featuring all of the invited artists that will take place on the harbor’s quai on August 13th. This year’s festival focuses on artists from Brazil. Performers such as TAIS ALVARENGA the Brazilian 23-year-old songwriter, composer, actress and singer who graduated from Bostons’ Berklee College of Music with a degree in film scoring will surely dazzle us all. ALVARO KAPAZ who was born in São Paulo, Brazil was awarded the Berklee Achievement Scholarship for his outstanding involvement with the college, He is also one of the creators of the band, Project K-Paz that will be entertaining you. The ABERTO PRA BALANCO TRIO formed by young São Paulo musicians that has rocked at parties, events and concerts in São Paulo and other parts of Brazil will be sure to rock you too. Artists from elsewhere such as the ASHLEY RODRIGUEZ TRIO one of the famous finalists and singers from American Idol 2010 who graduated from Berklee in 2009 will bring her ‘All Girls Band’ to the Summer Sessions. 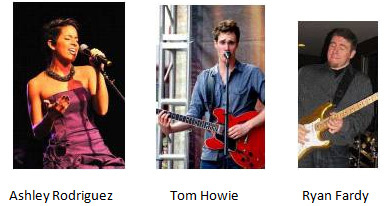 Tom Howie is a 22 year-old guitarist and songwriter whose soaring vocals and songwriting talents have drawn comparison to Jeff Buckley and Thom Yorke. In November, he will release his third solo album, The Right and Wrong of Everything. RYAN FARDY has created his own genre, mixing Blues, Rock, Funk, R&B, Soul and Pop. At 24 years old, Ryan has had a fantastic start to his 10-year career. He has opened for the legendary Chaka Khan, Leon Russell, Edgar Winter, Mountain, Snoop Dogg, Rick Derringer, Hoobastank, and more. Let’s not forget the DJ’s! YO–ONE SUTTER is resident DJ at restaurant La Plage, his music is a mix of electro acoustic, Soul, Swing, Jazz and Latin Beat and he’s doing a fusion between Live Music and a DJ set. 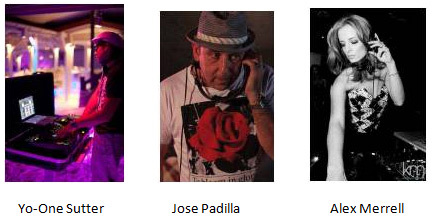 JOSE PADILLA /DJ CAFÉ DEL MAR, IBIZA first arrived on Ibiza in 1975 and has been DJing there ever since. With the ‘Café del Mar’ series he is the so-called “spiritual father of Chill-Out”. He has gone from a poor barrio in Northern Spain, to a jet-set DJ lifestyle; guesting in London, Paris, Monte-Carlo, Amsterdam, Miami, Italy, Moscow and Australia. Who else will be there? Steve and I had the pleasure of dining with Thierry the creator of Summer Sessions, Tom Beach Hotel’s Assistant GM Aymeric Bourdin and DJ ALEX MERRELL who will be spinning for you. Alex’s style is distinct yet tailored to the audience, influenced by house, electro, dance, hip hop, classic and indie rock, top 40, lounge and world music. The events will take place at Taïno restaurant at the Hotel Christopher in Pointe Milou, Le Bartoloméo restaurant at Hotel Guanahani & Spa on Grand Cul de Sac as well as at the restaurant La Plage at Hotel Tom Beach which is located on St. Jean Beach. In addition, performances will be held at Hotel La Banane which is surrounded by an exotic garden and is in Lorient as well as Bonito restaurant which boasts an extraordinary view over the Harbor of Gustavia (Where we host our cocktail party from the end of November through the end of April). Plus more great venues like La Gloriette, a beach restaurant located on the lagoon of Grand Cul de Sac, Le Tamarin located in a huge garden with its famous tamarind tree and parrots and is located on the way to Saline Beach are also hosting performances. As previously mentioned, a concert for the etire island will be held on the harbor side quai Saturday night August 13, 2011. For me it’s a must-do! Don’t miss out on this great event! Contact reservations@stbarth.com or call 1-800-421-3396. Book an accommodation for 5 nights or more for any stay that includes any date between August 01 and 27, 2011 and St. Barth Properties will give each person in your party one 50 euro voucher to be used towards a fun evening at Le Ti St Barth while you are there. 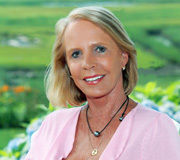 (The voucher is non-transferable and valid through August 27, 2011). This offer is applicable for new bookings made between June 28 and July 08, 2011 or until we run out of vouchers (80) whichever comes first. Reservations at Le Ti must be made in advance prior to your arrival. Le Ti St. Barth is Located in Pointe Milou. Everything you’ve heard about this party place is true; the restaurant’s gourmet food, the Champagne in abundance, the wine cellar, the island’s hottest fashion show with DJs from the music capitals, theme nights and cool people from around the planet dancing on tables! This entry was posted on Tuesday, June 28th, 2011 at 1:30 pm	and is filed under Hotels, Parties. You can follow any responses to this entry through the RSS 2.0 feed. You can leave a response, or trackback from your own site.